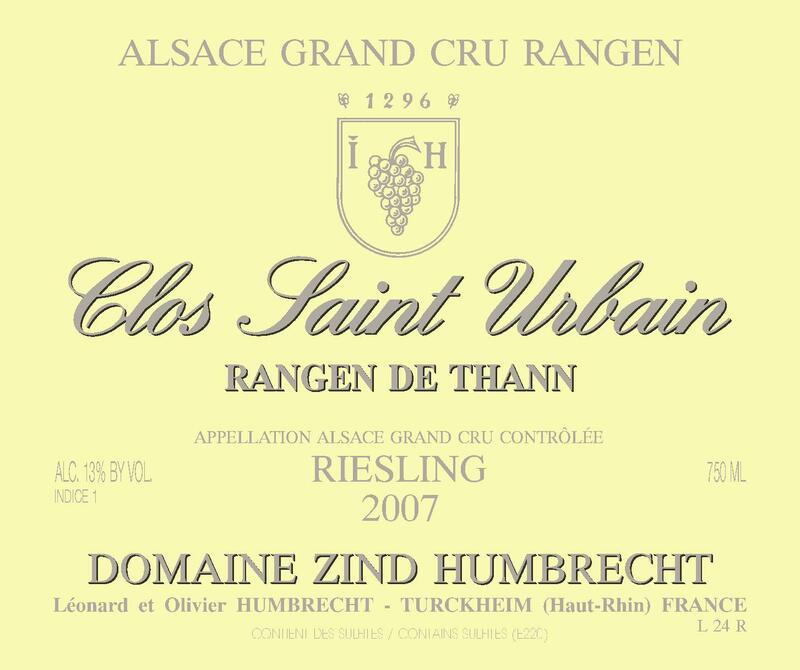 The Rangen vineyard is located in the village of Thann, at the extreme south end of the Alsace wine road, which runs over 80 miles on the East side of the Vosges Mountains. This part of Alsace is the highest in elevation, which explains the higher than normal altitude of this vineyard (350m to 450m). The proximity of the mountains and strong valley winds increase the late ripening character of this Grand Cru, which is only compensated later in summer and autumn by the capacity of the very steep slope, full south facing exposure and warm rocky volcanic soil to capture sun energy. Ultimately, while always being the last vineyard to budbreak and flower, the Rangen is capable of catching up late in the season, due to its extraordinary topography and presence of the river at the bottom. The Riesling Rangen was harvested early October. The small golden clusters were perfectly healthy and achieved excellent ripeness. The fermentation was quite slow for Rangen, as it lasted almost one year, but eventually the wild yeasts managed to transform all the sugar in the wine. 12/2008: the nose is very typical of Rangen. It shows lots of smoke, flinty aromas, which almost appear reductive or at least very mineral. The nose says it clearly: this is Rangen wine, as tough as it can be at this early stage and as dry as possible. Certainly the bottling will open the wine, as it is still on lees today! The palate is very elegant and has just the right power to match the volcanic character. The finish is quite long, with almost smoky/grilled flavours. The ripe acidity brings elegance. This is a wine full of character and personality!